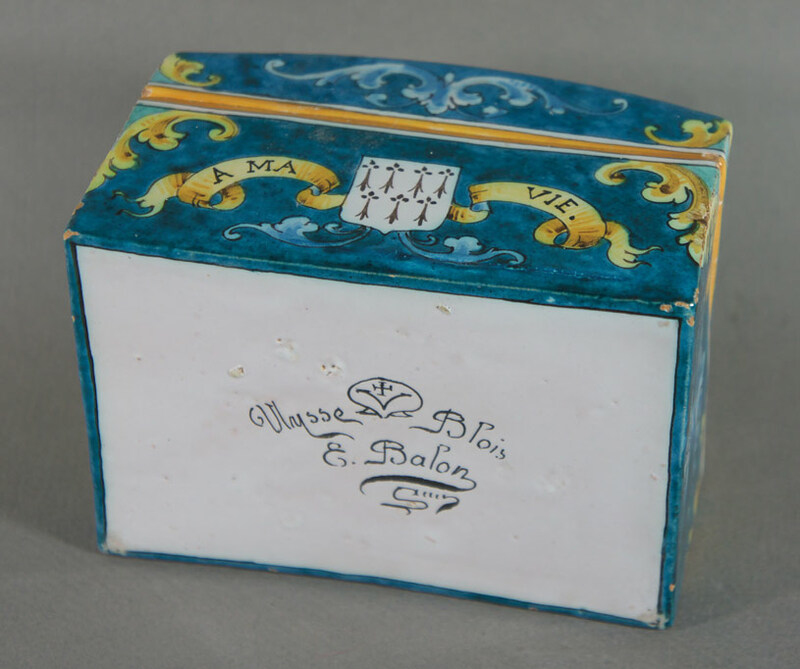 A French Faience box from the Blois Castle faiencerie. 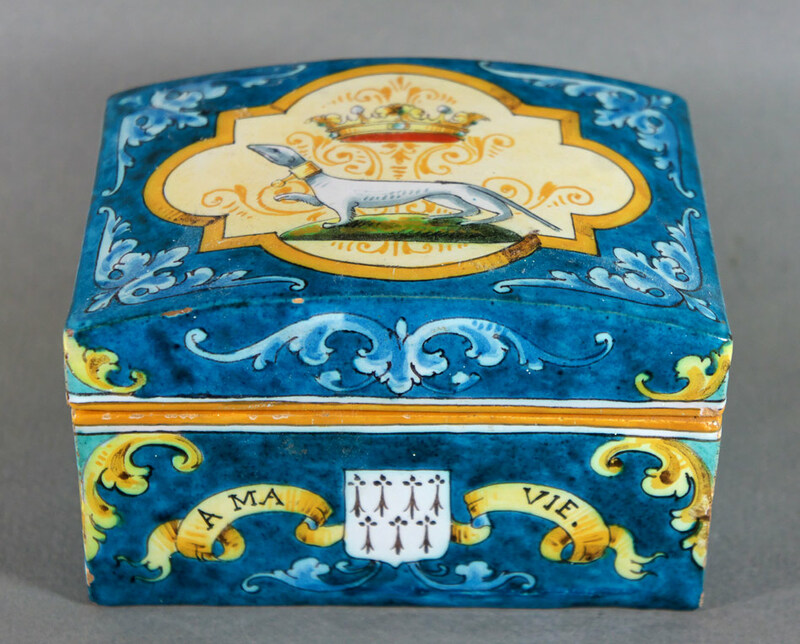 The box lid is decorated with the Royal crest of Anne of Brittany (ermine) and the front panel bears her motto “A Ma Vie”. Balon was the successor to Ulysse Bresnard who founded the pottery in 1862. Blois Chateau is located in the Loire Valley, France.